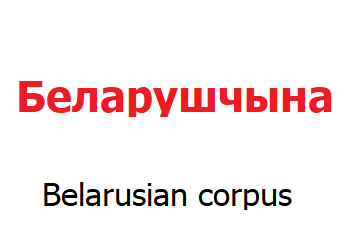 We are pleased to inform you that a list of Sketch Engine corpora has been extended by adding a new Belarusian corpus, the 63-million-word corpus of texts collected from the web. Texts in this Belarusian corpus (beTenTen) were cleaned and deduplicated. Try searching Belarusian concordances or generating Belarusian n-grams.